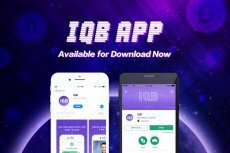 IQB App, as the first landing App of IQB-C, offers the most creative, reliable and efficient marketing resolutions to Blockchain projects. It allows users to capitalize on their knowledge and convert the acquired intellectual achievements into economic benefits through live-trivia with jackpot. As a highly inclusive new media and marketing platform, IQB App is able to present each project with depth. Aiming at restructuring the global advertisement market eco-system, Commerce Data Connection (CDC) utilizes decentralized Blockchain, retractable and anti-tampering characteristics to involve the users in the ecosystem. It is a decentralization public ecological platform driven by the first global Blockchain core technology for the global commerce data asset trading. 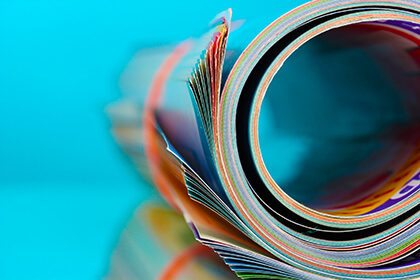 Various offline, online relative data can be safely and reliably reserved in the ecosystem, and keep in accordance with the various requirements of the advertisers to coordinate the resources and role. CDC also provides intelligent technological and reliable mining analysis, user positioning services. All those services can be utilized by their customers in the end. Starting from the first game since April 23, there were 15 games held on IQB APP so far. After distributing 1,600,000TNB and 25ETH to 4,980 winners, each of them got an estimated value of US$24 rewards regardless of recent declining market. (Check out detailed info of passed games). For the coming CDC Special games starting from June 1, Children’s Day, 500,000CDC will be sponsored for each game, with one session of IQB Live-trivia Airdrop comprising 5 games, at least 2,500,000CDC will be distributed to our future game winners. 2 Customized Quizzes of CDC Project, Self-Culture is Required for Winning! Participants of IQB Live-trivia Airdrop games know that, during each game only 6 quizzes have to be answered correctly to win the game. Four of them are related to general Blockchain knowledge, and the rest two are customized by sponsors of IQB Live-trivia Airdrop. It makes everyone in this game hold the consciousness of absorbing knowledge in their daily life, at the same time paying attention to News, reports, official websites and most importantly Whitepaper of sponsors of IQB Live-trivia Airdrop. It will not only help them win handsome jackpot, but develop a good habit of learning and analyzing data and project information. Loyal users of IQB App will finally become the most advanced investors in this industry. 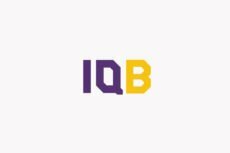 The community members of IQB Telegram Group have been kept increasing since its establishment, IQB has been maintaining a constant and stable growing of their project, including the number of active users of IQB App and IQB Live-trivia Airdrop game. They are facing and processing their first stage of overall improvements.